SAG Box Trucks are partnered with a School Bus to assist cyclists who are unable to continue riding by transporting them to the next SAG stop. SAG Drivers must have a valid driver's license and have the ability to drive a 16 foot box truck. SAG Navigators assist the Driver with directions, loading of bikes, navigating the course and can assist with driving. The time commitment for the event starts with truck pick up the Friday prior to the ride and concludes with truck drop off after the event. SAG vehicles are available throughout the ride Saturday and Sunday and continue until the ride is closed. 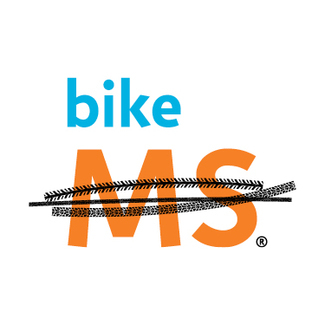 This volunteer position supports Bike MS as the official event SAG support team, and do not support a specific team, individual, or interest group. This is approximately a 40-hour commitment. Rental pick-up will be the Friday before the event/rental drop-off the Monday after event weekend. SAG volunteers must also possess average visual acuity; the ability to drive a box truck through tight rider and pedestrian areas. It is important that SAG drivers practice patience and are able to handle high-pressure situations. SAG drivers are encouraged to have a second person to help load the box truck and to navigate. There is a maximum of two volunteers per truck. SAG volunteers must be able to work the entire weekend from 6:30 A.M. to Close of the Course each day. Volunteers are required to participate in one training on a Bike MS Recommended Ride or training conference prior to tour. Out of town volunteers will need to have worked a similar event and/or be recommended by another Bike MS SAG coordinator. If you are unsure if you meet the above stated requirements, please contact us and we will work with you.